Food of the future: what will feed 7 billion people? Do we need to change our concepts of what people eat in order to meet the world’s nutrition demands? Insects, lab-made meat, algae and 3D-printed fortied food could be affordable and practical routes to reducing malnutrition. The challenge for the development sector is how these ideas can be put into practice. Collaborating with the private sector and start-ups, embracing new technology and understanding cultural attitudes offer some solutions. How the bugs are presented will help people to change their diets, the FAO report stressed. 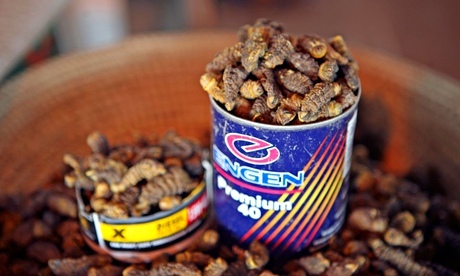 Often this can be achieved by subtly incorporating them in traditional foods people are used to eating – an example is the WinFood project, which sought to improve child nutrition in Cambodia and Kenya by producing a food partly made from insects. Taylor says NGOs can benefit from the technology by collaborating with the private sector. Cost might be a stumbling block. In 2013, scientists made a burger in a lab for $ 250,000 (£148,520). If artificial meat is to feed developing countries, the more likely scenario would see NGOs buying straight from producers. For instance, Beyond Meat’s 12oz chicken retails at around $ 5.29 – (they are considerably cheaper than animal products because livestock are less efficient at converting vegetable protein into animal protein). If the price can come down further as the technology develops, and again if NGOs could buy in bulk, it would improve their efforts to deliver the required nutrients. Seaweed is a sustainable food source that “requires no fresh water, land or fertiliser to grow,” and is not susceptible to dirty soil like livestock is, says Dr Craig Rose, a marine biologist and founder of the Seaweed Health Foundation. It’s also very nutritious. “It contains [many] minerals, trace elements, vitamin groups and proteins,” he adds. Rose believes there is potential for developing countries to grow, harvest and process seaweed for multiple markets. Coastal communities across Africa and Asia have been benefiting from seaweed farming for years, but some struggle to make a living. Organisations such as Coast Trust in Bangladesh are promoting seaweed cultivation and training locals to be farmers. The FAO has previously said (pdf) that getting more people in developing countries eating seaweed requires scaling up production to make more of it available, and teaching communities who are unaware of its nutritious value. There is also a need to remove any assumption that seaweed is a poor man’s food. A team from National University of Ireland Galway and Concern Worldwide (3d4AgDev) has been developing 3D printed tools to help smallholders in Kenya improve farming and local food production. Elsewhere, a group of scientists in the Netherlands (pdf) is looking into using base materials such as algae and insects to create novel and nutritious food structures. Researchers are confident that, given the emerging use of 3D printers in development work, the 3D food technology could help ship nutrients to developing countries more efficiently. Base materials could be ground into powder before being shipped, and then processed on site, added to food substances (peanut butter, chocolate), fed through the nozzle of a 3D printer and potentially printed into any desired design, making them available during a crisis. • The F-word: when can we call what’s happening in South Sudan a famine?